JW Marriott or Conrad – Both hotels are located inside Pacific Place in Central. The MTR (train) station is also connected to Pacific place. The main bus terminal is right across the skywalk from Pacific Place. The Hong Kong JW Marriott and Hong Kong Conrad also offer great views of the city if you are on the top floors. Both hotels have hotel lounges that server food and alcohol. The JW Marriott lounge is one of my personal favorites in the world. The JW Marriott is by far the best hotel in Hong Kong. Sheraton – Located in Kowloon’s Tsim Sha Tsui area, the Sheraton is in an extremely convenient location. The Hong Kong Sheraton is next to the famous Peninsula Hotel in Kowloon. You can go any where in Hong Kong or Kowloon from the Sheraton. 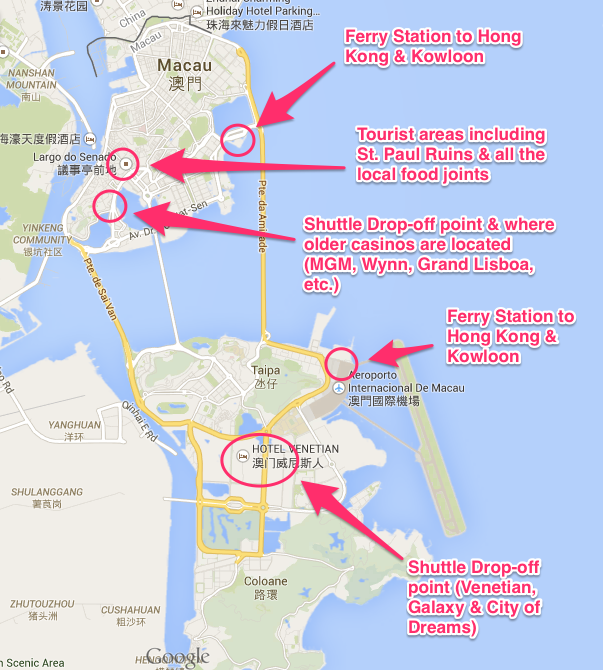 The Kowloon MTR station is two blocks away and all major buses travel through Tsim Sha Tsui. You are also minutes away from Victoria Harbor where you can catch the Star Ferry to get to Hong Kong Central or Wanchai. Grand Hyatt or Renaissance Harbour View – Both hotels are in Wanchai, near the Hong Kong Convention Center. Hyatt is near the harbor so it becomes very inconvenient to by car or MTR. If you were taking the MTR train (to the Wanchai stop), you will have to walk ¾ of a mile to get to the Hyatt or Marriott. To compensate for the long walk from the Wanchai train station, you will find a great view from your room at the Marriott. I would not stay at either hotel unless I am attending a convention. The W – The W is located in the newly developed section of Kowloon and attached to the Elements Mall. Aside from the mall, there is not much to do in the evening (or day). Public transportation can also be a challenge as only one MTR line goes to this station. You can always take cabs from the W to your destinations but it can be costly. You can also check out my earlier post on: Where to go when you are visiting Hong Kong.